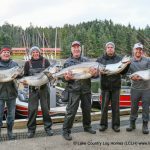 Queen Charlotte Lodge (QCL) is a sport fishing resort located in Naden Harbour on Haida Gwaii on the northwest coast of BC. 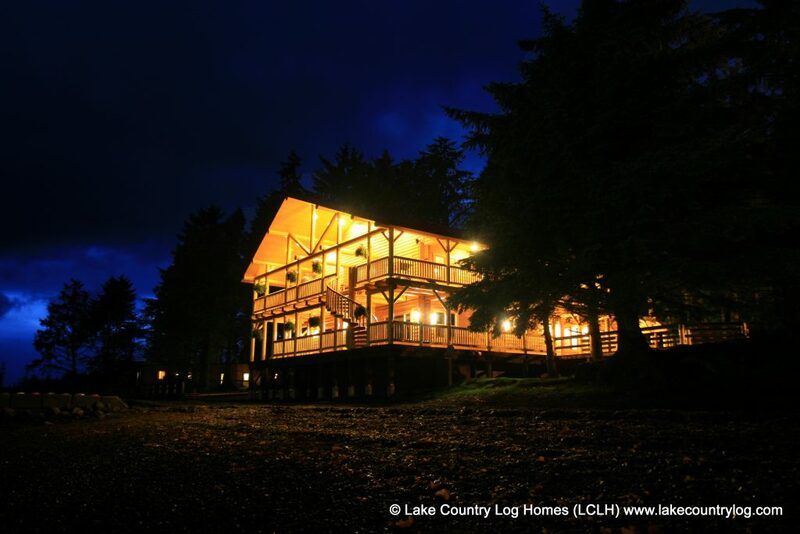 Our love affair with logs began in 1991 with the construction of our 24-bedroom main lodge. 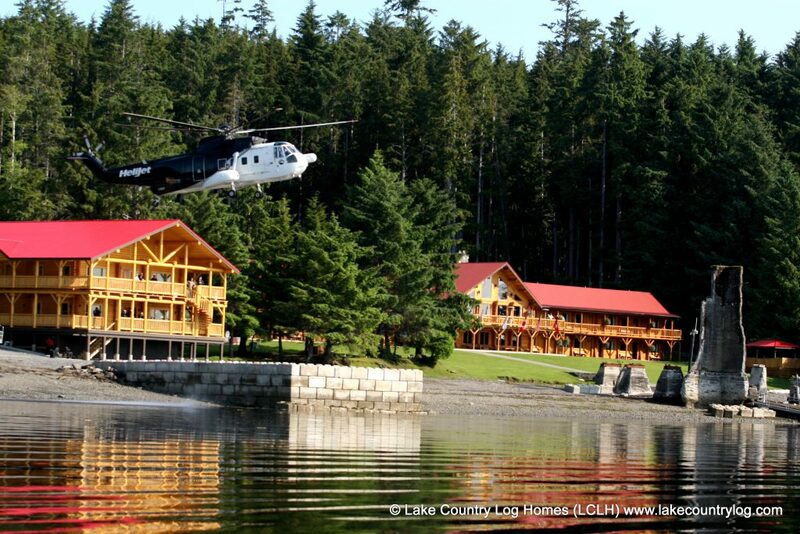 The beautiful big log cabin with the distinctive red roof soon became our claim to fame, aside from the great fishing! In 2007 we decided it was time to add a distinctive feature to our property. It would be a prominent log building on the waterfront that would house premium accommodations as well as amenities like a spa, executive gym and meeting facilities. 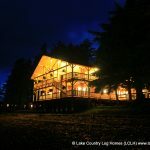 In our search for a log builder we discovered that our original builder no longer worked with logs but that some of their pros had joined Lake Country Log Homes. From our initial discussions with Jamie, Don & Rob we were confident that we would have the standout structure that we were looking for and it would nicely compliment the style of building that we started with 17 years previous. 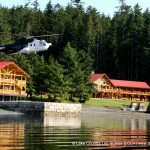 Doing construction in the winter, in an isolated inlet on a remote island, with no road access could be cause for some concern. Everything had to come in by barge from the mainland and there are no building centers in Naden Harbour to pick up random supplies! 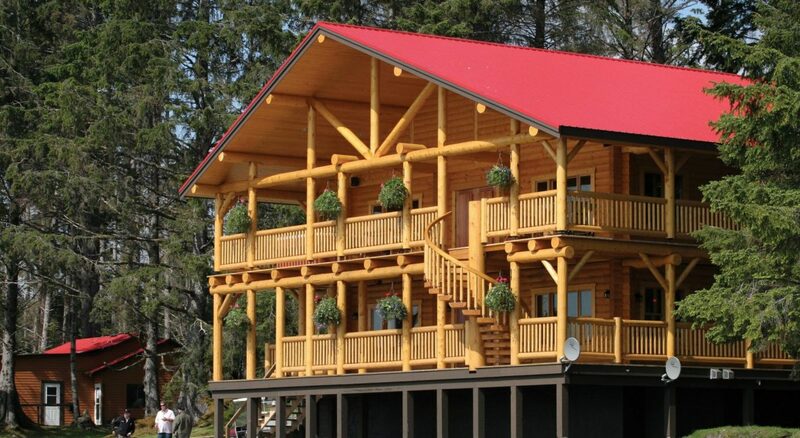 But with great people, excellent planning and painstaking attention to the smallest details, our builders and Lake Country Log Homes created a truly outstanding facility that we proudly opened in June of 2008. The quality craftsmanship and sheer beauty of the log structure represent perfectly the standard that we strive for in our own business. We know that Jamie and his family “get it” and they take as much pride in our lodge as we do. 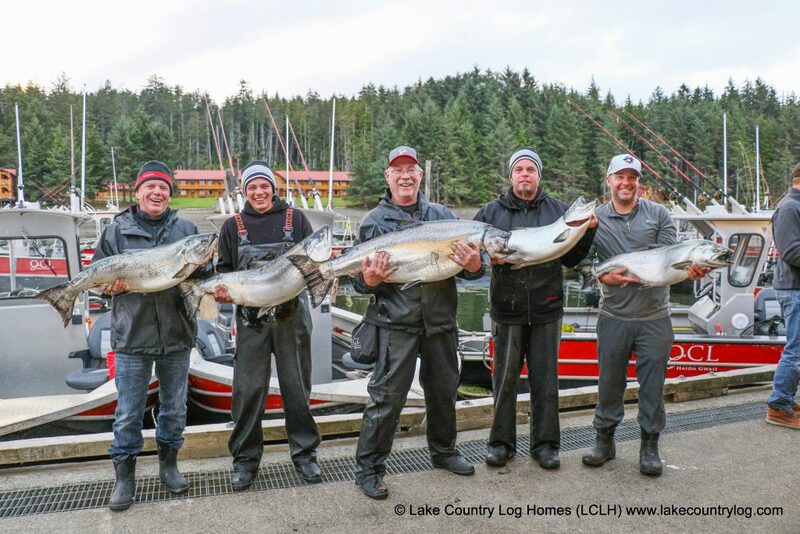 LCLH continue to provide us with smaller accent features to compliment the lodges and we’re confident that when the time comes to add another log building we’ll have a trusted partner in ensuring it’s done well and done right.